did you take part in the just concluded 2019/2020 imsu post utme screening exercise ? if yes continue reading this guide on how to check Your merit listv(1st), supplementary list (2nd),and third list. 5 How to Check IMSU Admission List. imsu admission list is a list of all candidates who has been offered provisional admission, who also took part in the school post utme screening and where able to meet the departmental cut off mark . Before any admission list is released by imsu there must be an approval first from the Senate. You need to get an admission list checker card from the bank preferably Microfinance Bank, Imo State Microfinance Bank, UBA, Zenith bank. This card is sold for 1200 naira only. Input your jamb registration number in the space provided. Submit it and the system will generate an invoice for you. Proceed to the bank to pay then return to IMSU result checker to confirm your payment. 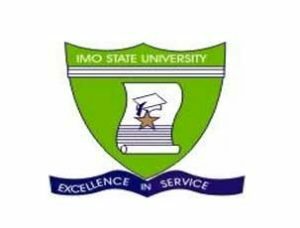 IMSU are of the habit of releasing their admission list on a local news paper that can only be bought in owerri or inside the school campus. if you are not in owerri you can contact someone to help you to check the admission list for you. lunch your phone browser to jamb.org.ng/efacility. you have to login into your personal profile with jamb. that you didn’t see your name didn’t mean that this year’s admission is over, you are expected to continue checking the portal from time to time because more list are being uploaded on daily basis. Now that you have been offered admission by imsu what next? pay your acceptance fee: the first thing you should do now is to quickly rush over to the bank and pay up your acceptance fees, this shows that you have finally accepted the provisional admission offer. confirm how much is imsu school fees for indigene and non indigene, please note that indigene pays higher than non indigene. Finally you are to find out and try to understand all rules and regulations governing the schools, stay away from cultism, exam malpractice, bad gang. know that what brings you into the institution is your books first before any social event.